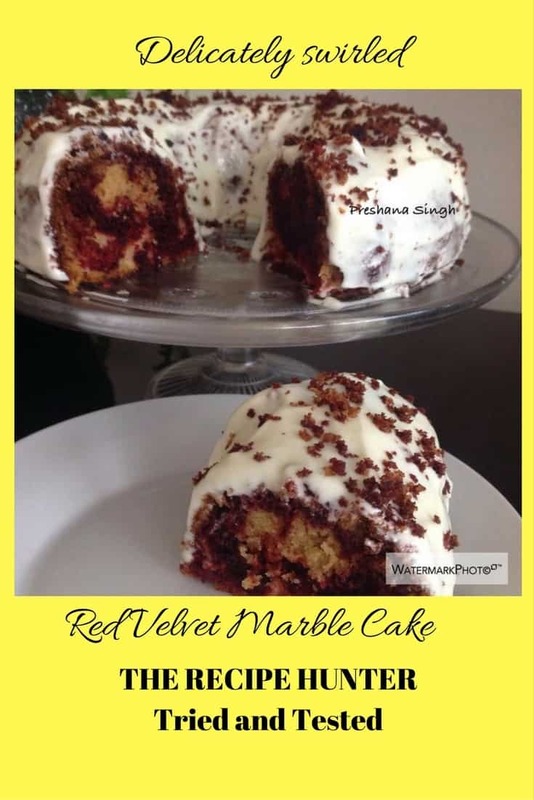 Red Velvet Marble Cake is a beautiful alternative on the classic red velvet cake! Grease and flour a 10-15-cup Bundt pan. In a separate large bowl, stir together 2½ cups of the batter, cocoa powder, milk, and red food coloring until well-combined. Slowly blend in the icing sugar and caramel essence, then beat until smooth and well-combined.